“The Force is calling to you. Just let it in.” The calling says to move away from the Dark Side. It is there; it always has been within your organization the whole time. Like stars in the galaxy, millions of data points are there to unleash the intelligence, knowledge and predictability currently lying dormant deep inside your business. How do you unlock the secrets of this data? No, we are not using mind probes or lightsabers, classic tools from the Star War films. Darth Vader and IT-O Interrogators would marvel at the HANA Live tools to release these secrets. This toolset is used to view, visualize, analyze and support the Data-driven company with real-time and live data. How did the manufacturing company reduce back orders to save on shipping costs and improve relationships with unhappy customers? What about the financial close step that was reduced to 15 minutes that previously took two full-time resources a week to pull the data together to close the books? 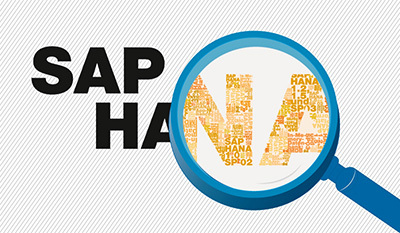 HANA Live reporting tools solved these challenges. The toolset consists of six tools that support users when and where they need the data. These include everything from initial modeling to browsing and queries through to dashboards, visualization, and infographics. We will highlight a few, SAP Lumira and Analysis for Office, in this article. We will look at how these tools have helped other companies leverage the data from their HANA systems. Designed with non-technical end-users in mind, SAP Lumira provides decision-makers with simple, intuitive visualization capabilities. Most users quickly embrace the Drag and Drop capabilities that allow them to jump from a donut, pie or bar chart presenting Revenue and Quantity data to drilling into the underlying information: region, product family, or other dimensions. Lumira allows you to conduct your business anytime, anywhere, with the ability to present this data over a browser, smartphone or tablet. Whether you are in the board room, airport or your customer’s office, your mobile workplace provides easy access, real-time and live data to support you. What lingering issue(s) could you address or solve today if you were armed with pertinent, real-time data at your fingertips? One of our customers, a multi-billion dollar manufacturing client, had a real problem with split deliveries. The problem was growing, and unless they fixed it, they risked losing their customers’ business to a competitor. An operational KPI for this customer was “no surprises for their customers,” and they would meet or exceed their targeted KPIs. After reviewing their requirements, we recommended Analysis for Office. From their HANA deployment, we had the right data. With the help of their data Jedis, we built views with orders at risk of missing their delivery date. Armed with this data, the operations team could look at either re-prioritizing production or deliveries to meet their promise date. Analysis for Office is Excel on steroids. Many financial users love Excel and have built complex interactive spreadsheets and workbooks with millions of rows of interactive data. Chewbacca probably assisted in the design of these spreadsheets. Making a change in one sheet often affects downstream calculations. One of our customers had two full-time resources dedicated to updating and reconciling the data used in month-end reporting. The data manipulation was tedious, and it took one full week to prepare the schedules. Analysis for Office addressed this problem and reduced the time, effort and risk to a 15-minute report providing clarity and certainty. It links upstream and downstream workbooks so that changes made on one sheet updates all the others. The data that may come from multiple sources is refreshed in real time and updates the report. It does not take a Jedi master like Obi-Wan Kenobi to set up and implement HANA Live Tools. But you do need a team that understands your users’ requirements. Titan’s HANA experienced know-how to harvest the best results from your HANA platform so that you can defend yourself from the Evil Empire. Do you want to be on the Dark Side or do you want the Force awakened in your business? For more information on how Titan can awaken the force of HANA and HANA Live reporting tools for you, contact Joseph Lamb, joseph@titanconsulting.net, or 972-743-2872; or contact your Titan Consulting Director. You can also see additional information on our Advisory Services for HANA at Titan Consulting: www.titanconsulting.net.